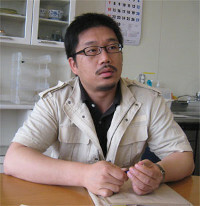 Dr. Kazuo Yamagata is a manmmalian developmental biology researcher at Dr. Teruhiko Wakayama’s team, Laboratory for Genomic Reprogramming at CDB, RIKEN, world-famous for study of animal cloning. Will you summarize your own research area, please? I am interested in the genetic/epigenetic control mechanism in mammalian early stage embryo. Especially, I want to clarify the relationship between their abnormalities and the impact on the development or birth, by using the embryo constructed by the developmental engineering technologies such as micro-insemination and somatic clones, and also the model animal embryo. Due to both qualitative and quantitative limitations in early stage embryo, biochemical analyses were difficult. Instead, immunostaining technique has been widely used to study such area, in general. However, it is needless to say but fixed and immunostained embryo will not grow any more. Even if any significant or unusual phenomena were found by using immunostaining experiments, you will never know how such finding would affect development of embryo afterwards. This is why we have developed live cell imaging technology of the early embryo that will not influence embryonic growth. Please refer to our report to find detailed information of our technology. Only by using our technology which does no harm on the embryonic development, we have obtained new choice to utilize the same embryo after intensive analysis by imaging”, and thus are able to investigate cause- and-effect relationship of various early stage phenomena and their influence on the further development. How have you encountered the CSU? It goes back about 10 years from now, when I was a graduate student. 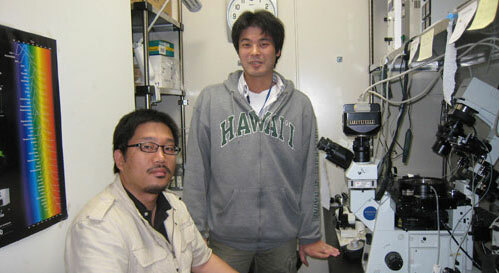 I visited the exhibition at the Molecular Biology meeting where Yokogawa showed CSU. Even though I knew almost nothing about confocal microscopy at that time, I was much impressed to find my colleague being deeply excited by the real-time clear images of live C. elegans shining brightly by GFP which was viewed through the CSU. I was also impressed by the detailed and comprehensive explanation about the CSU technology by a Yokogawa person. Why you have finally decided to use the CSU? In my research, I need to observe mammalian zygotes and early stage embryos which could be as thick as 100um thus are extremely difficult to clearly image under a standard fluorescent microscopy. I tried very hard to get better images by using deconvolution software, however, no matter how hard I tried to optimize many parameters, it was not possible to obtain clear images. So, confocal microscopy was a natural choice. 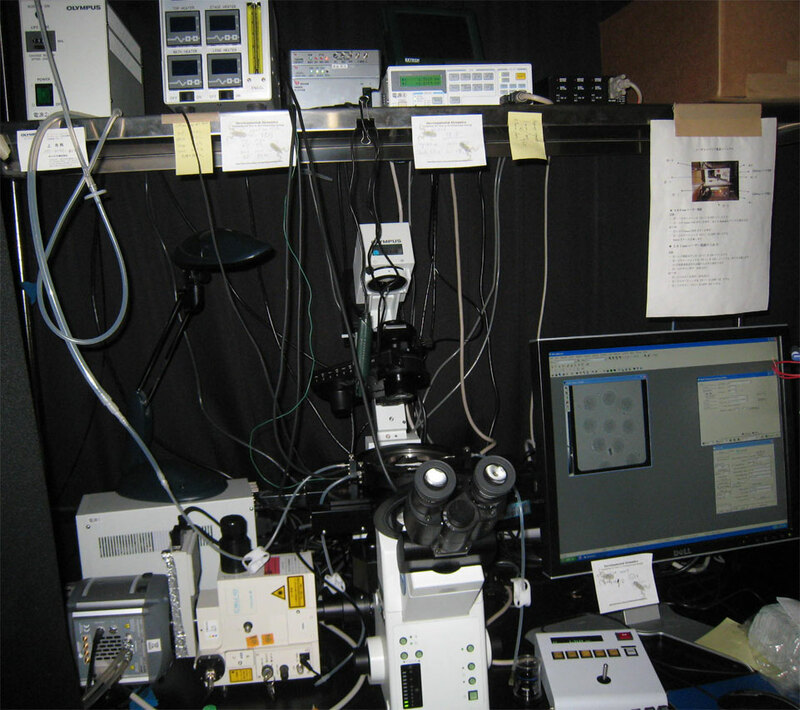 Even though single-beam, point scanning system was a standard confocal microscope at that time, I knew from my own experiences and papers, especially because of high toxicity on embryo it was not desirable for live cell imaging. So, I examined a few multi beam scanning confocal systems on the market, and selected CSU based on its fastest image acquisition with reasonably good z-resolution to give clear 3D images. Memory of the good impression of 10 years ago might have worked to select the CSU as the first choice, too! How was your impression of CSU in use? I started using the CSU system and was happy to confirm such characteristics as I expected. However, some time after the first installation, highly sensitive EMCCD cameras appeared on the market, and I started to use one with the CSU. As a result, I was much astonished to discover “extremely low photo toxicity on the live cells” with the CSU & EMCCD system. Please refer to (Ref. 1) for experimental details. In short, I imaged up to 60,000 confocal images of mouse pre-implantation embryos for about 70 hours, and then transferred them to pseudo-pregnant mothers. To our great surprise, all embryos were born as healthy, reproductively normal! I think shorter exposure time with less laser power with the use of an EMCCD quite effectively enhanced the intrinsic merit of the CSU such as planar illumination of specimen. Anyway, I believe CSU is the only imaging device to enable 3D observation of embryos without photo toxicity. Moreover, it is quite robust, and hard to be broken, indeed. In my case, my experiments can go on for three to ten days, non-stop. I have been doing such experiments very frequently for the last 5 years but I have never had any troubles in the CSU. I think this is a very important benefit not only for high-end users, but also for university labs where multiple users with differences in technical skills may co-exist. If I dare to point out, the CSU system could be a very complicated combination of various devices and software, thus, may not very easy to master for beginners. Long-term, six-dimensional live-cell imaging for the mouse preimplantation embryo that does not affect full-term development. Yamagata K, Suetsugu R, Wakayama T. J Reprod Dev. 2009 Jun;55(3):343-50. Your future research plans, please? 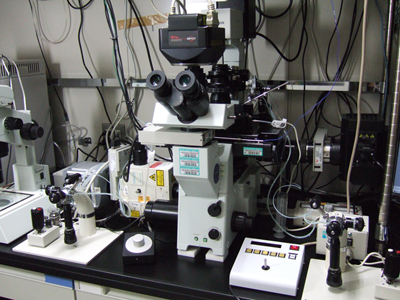 I want to approach my original research interests as I explained ahead by combining various micro-analysis technologies with this imaging technology.In addition, I expect this imaging technology can be useful to evaluate quality of embryos. For instance, the embryo destined to be aborted can be identified by imaging chromosomes of developing embryos at the two-cell stage. (Ref. 2). By further improving this technology, I wish to fulfill my dream to make contributions to human reproductive technology and production animal research field in the future. Assessment of chromosomal integrity using a novel live-cell imaging technique in mouse embryos produced by intracytoplasmic sperm injection. Yamagata K, Suetsugu R, Wakayama T. Hum Reprod. 2009 In press. It was our great pleasure to know our exhibition of 10 years ago remained such impressive and helped to choose the CSU for Dr. Yamagata. His epoch-making system to enable confirmation of the effects of molecular level changes in early stage embryos after birth will surely make a great contribution to various fields in animal developmental research. As he kindly pointed out, long-time 6D imaging system could become complicated by the assembly of various peripheral devices such as stage incubators on top of basic imaging devices.While it is inevitable to achieve high-end performance, we are ready to offer easy-to-use systems for entry users.